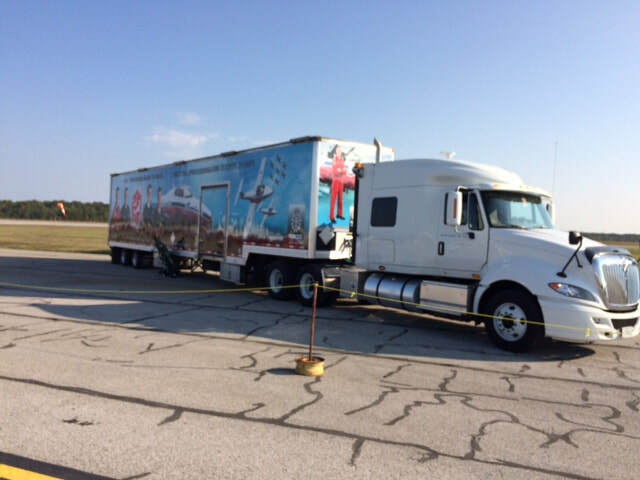 Snowbird parts truck-you think it's easy maintaining almost 50 year old planes? 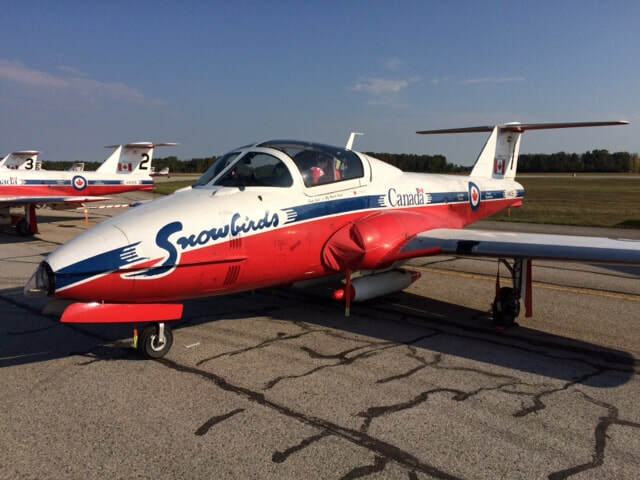 The Snowbirds are Canada's pre-eminent aerial jet aerobatics team, and world reknowned for their precision flight demonstrations. 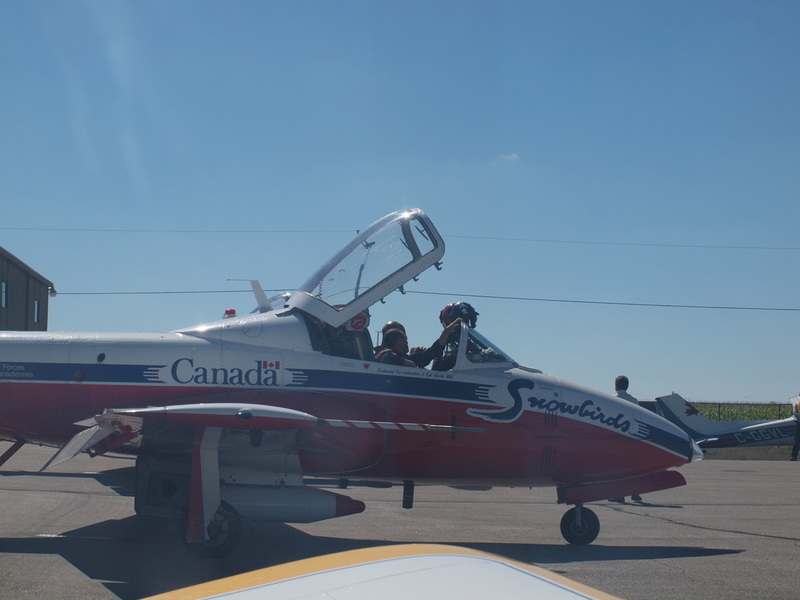 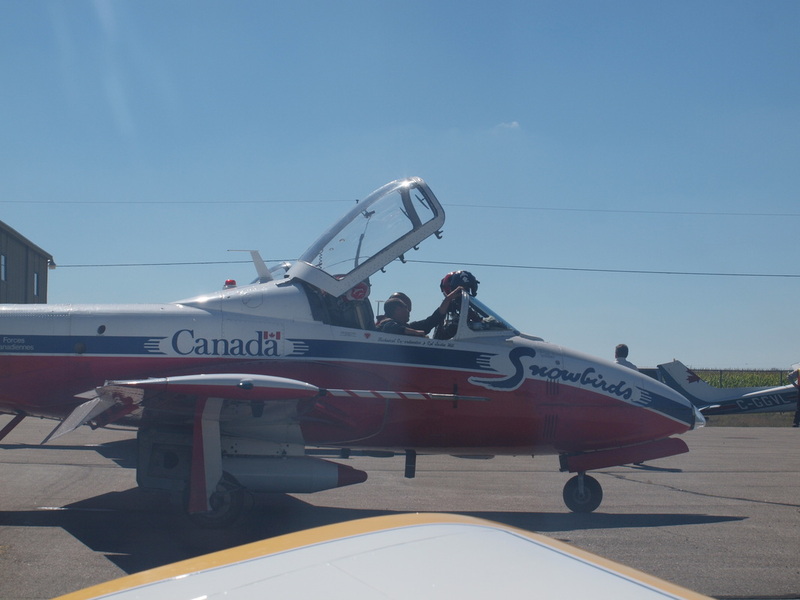 Of course, it's every Canadian boy's dream to fly one of the Snowbird jets or at least ride shotgun. 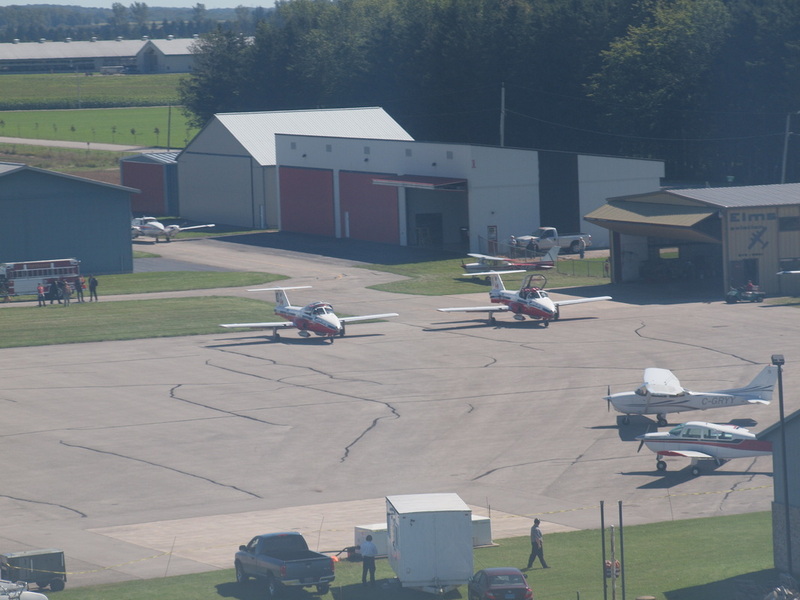 While the opportunity has never yet present ed itself, it was a pleasant surprise when I discovered that my local airfield in Stratford would be hosting them for a few days while they performed airshows in southwestern Ontario over the fall airshow season. The Snowbird team is usually preceeded by two early arriving pilots who prepare the local firecrew with a brief familiarization with the jets so that they can intervene knowledgeably should a mishap occur when the rest of the team arrives usually an hour later. 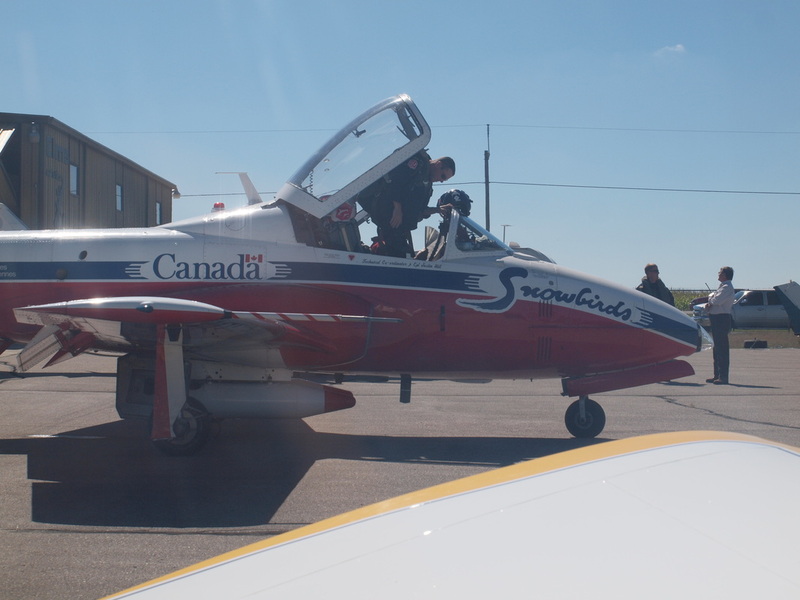 Seeing a great opportunity to get some nice Snowbird pics with my RV, fellow pilot Damian Polanic and I headed to the airport to see the early flight arrive. 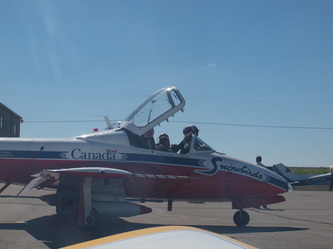 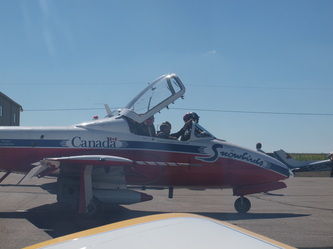 The snowbirds are usually preceded by an advance flight of two of the distinctive Tudor jets; these two ensure that the airport is ready to accept the main flight and usually arrive an hour ahead to review fire suppression techniques for the famous jets with local firecrews who may sometimes be unfamiliar with extinguishing jet fires. Photo at left of the advance flight on the ground shortly after arriving at Stratford. 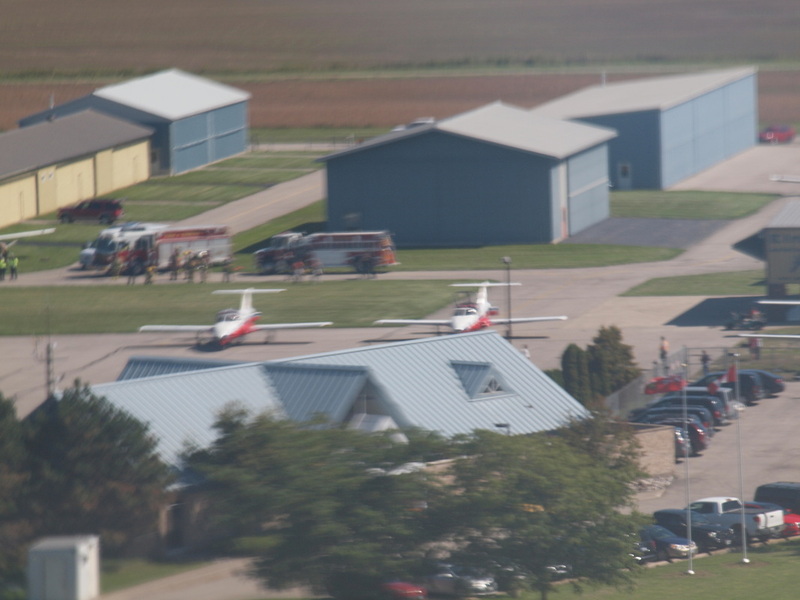 The interesting thing about the emergency response plan for Stratford airport is that the duties are shared between the Stratford Fire Department and Perth fire department; apparently, one is charged with hangar fires and the other is charged with airplane fires....make sure you call the right department when your P&W catches fire. 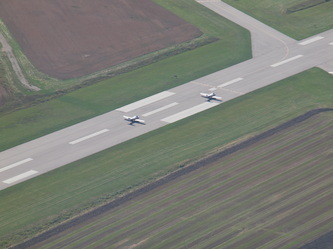 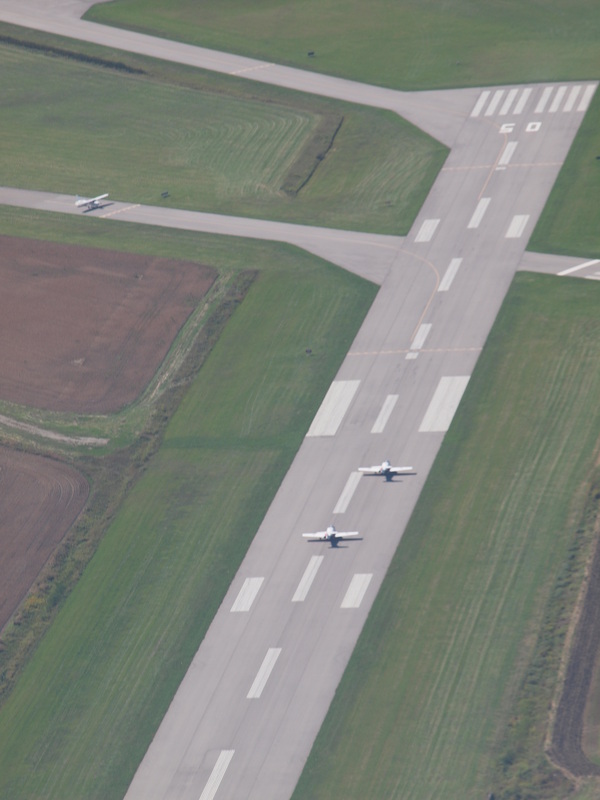 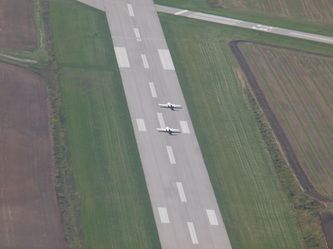 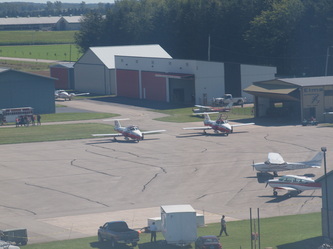 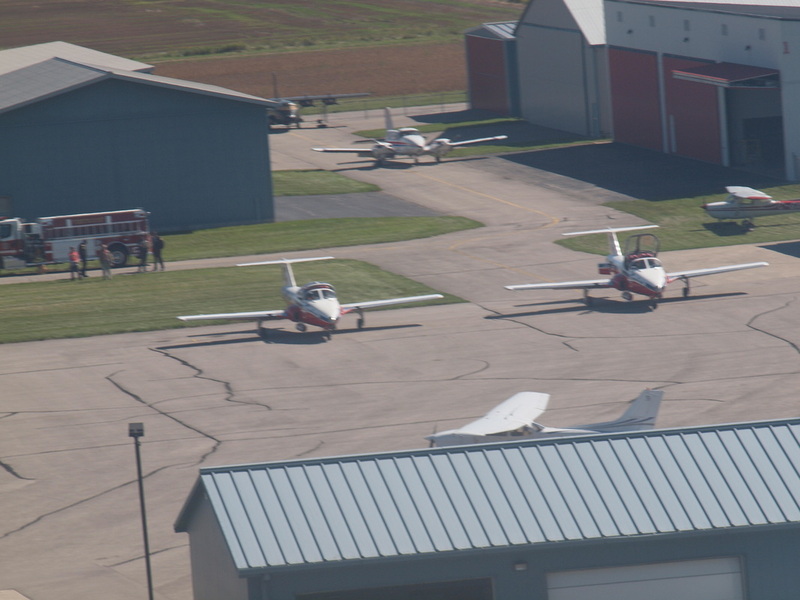 Snowbirds on the Stratford apron from final approach. Ironically, the firetrucks are there for the safety of Canada's best pilots, and not me. I'm not really sure what the protocol is about pulling up beside two military jets on a public airfield but I figured I'd follow the policy of asking for forgiveness rather than asking for permission in order to get some nice photos of CGEXU alongside Canada's most recognizable jet aircraft. 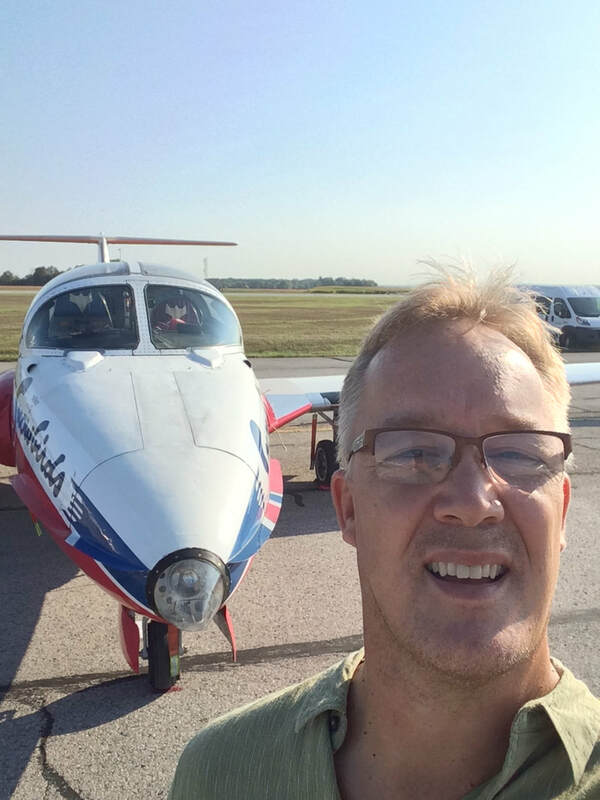 It is entirely coincidence that my yellow jacket and plane match. 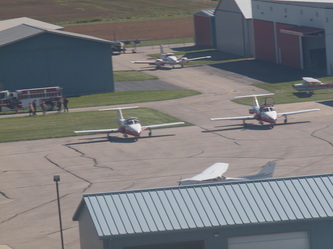 I'm pretty sure the Snowbirds coordinated intentionally.